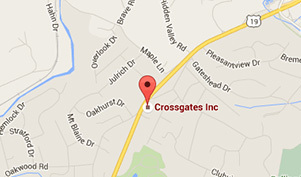 Crossgates is a third generation family owned and operated business. Art graduated from the University of Pittsburgh as the outstanding engineer in his class. In 1959, he founded Crossgates. He has taken the company from the early days of developing single family homes to the development of multi-family residential properties, hotels, nursing homes as well as commercial and industrial properties. He is the recipient of many awards, including most recently the Outstanding Achievement Award from Carnegie Mellon University. Ryan is a graduate of Penn State University. He joined the Crossgates team in June of 2006. He is responsible for business development, project management, and consulting in the Western and Central Pennsylvania offices. Ryan is a member of the National Association of Office and Industrial Parks (NAIOP) and serves on the board for the Developing Leaders affiliation of NAIOP. Reid attended Penn State University. He joined the company in 1985 and was appointed Vice President of the property management division in 2000. He manages our in-house and site staffs with over 2,150 apartment units and 7,304,000 square feet of commercial and industrial buildings. He is an Institute of Real Estate Management (IREM) Certified Property Manager and past President and current Board Officer of the PA Affordable Housing Management Association. Reid is also accredited as an Assisted Housing Manager from Quadel Consulting. Diane joined Crossgates in 1978 and since then has been promoted to Commercial Controller, Assistant Vice President for commercial and industrial development, and Vice President of Administration for the Central PA office. She is responsible for contract and lease administration, development, and marketing in the Central PA office. Bob is a graduate of Northeast Louisiana University. He previously worked with Kossman Development Co. and had his own construction firm. He joined Crossgates in 2004 and is responsible for all construction administration for multi-family residential, commercial and industrial properties in western PA. In addition, he works closely with the property management division on all major capital projects. Carol Jo is a graduate of California University of Pennsylvania with both a B.S. degree in Accounting and a MBA. She was previously an internal auditor for the Washington County Controller's Office and joined Crossgates in 1999. She oversees the daily activities of the commercial real estate division of the company. These duties include all facets of accounting including lease compliance, annual audits, fiscal budgeting, and financial reporting. In addition, Carol Jo works closely with the Executive management team on various project management concepts and is responsible for developing financial plans and projections and analyzing various debt and equity structures. Damian is a graduate of Pennsylvania State University with a B.S. in Accounting. He joined the Crossgates team in 1999 as a Project Accountant for the Residential Property Management division and was soon promoted to Assistant Controller and Controller, respectively. Damian is now Assistant Vice President of the Residential Property Management division, responsible for the administration of the accounting staff and oversight of the budget process, accounts payable and receivable, and the audit process. During October 2018, Damian received his certification from the National Center for Housing Management as a Tax Credit Specialist. Anthony graduated from Ohio University. He was previously with the City of Pittsburgh Housing Authority, where he was in charge of the Residential Management, Occupancy, and Relocation departments. Anthony is accredited as an Assisted Housing Manager from Quadel Consulting and has the designation of CPM and ARM from the Institute of Real Estate Management. He also has a PA Real-Estate sales person license and is a Tax Credit Specialist. He was the 2014 and 2015 President of the local IREM chapter. Anthony manages over 700 apartment units in PA, MD and WV, with primary responsibility for budgeting, site staff oversight, and contract administration. Scott is a graduate of Indiana University of Pennsylvania. 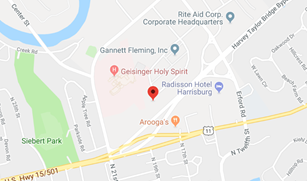 He began work with Crossgates in 1981, left to start the regional office of another property management firm, and then rejoined the company in 2004. Scott is an IREM CPM, is past president of the local IREM chapter, and was named the Certified Property Manager of the Year in 1992 and again in 2014. He currently teaches the IREM - Ethics for Real Estate Management course, and holds a current PA Real EstateAssociates Broker's license. Scott is responsible for over 775 apartment units and some commercial properties. Lisa is a graduate of Bradford Business School. She previously was a Senior Asset Manager with PMAM (Pennsylvania Multifamily Asset Managers) and joined Crossgates in 2012. She was a member of the PAHMA Board of Directors for over 10 years. She holds a current PA Real Estate Salesperson license, is an IREM CPM & ARM, and a Quadel AHM and NCHM Tax Credit Specialist. Lisa is responsible for almost 700 apartment units in PA and WV, with primary responsibility for budgeting, site staff oversight and contract administration. She also assists in management of three commercial complexes with almost 40 clients. George is a graduate of Waynesburg University with a B.S. in Business Administration. He came to Crossgates with 20 years of experience in Facilities Maintenance and Construction of commercial and industrial property. George is responsible for the property management division in the Central Pennsylvania office. George is a member of the Central Pennsylvania International Facility Management Association (IFMA).